Koki Tanaka. Dog, Bus, Palm, Tree. A painting to public (Metro bus line 2, Los Angeles), 2011. Acrylic painting (22" x 28" x 3 1/4"), HD video, bike, wall mount. Duration 2 minutes and 32 seconds. Dimension variable. Koki Tanaka. 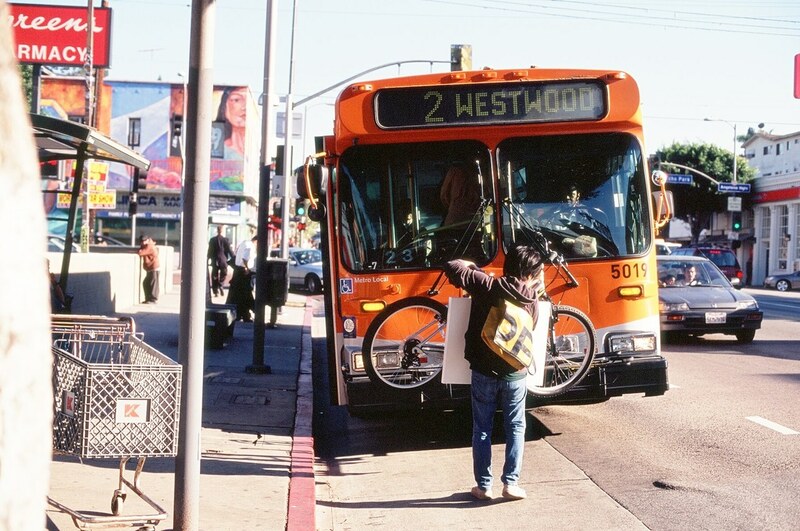 Dog, Bus, Palm, Tree. Someone's junk is someone else's treasure, 2011. 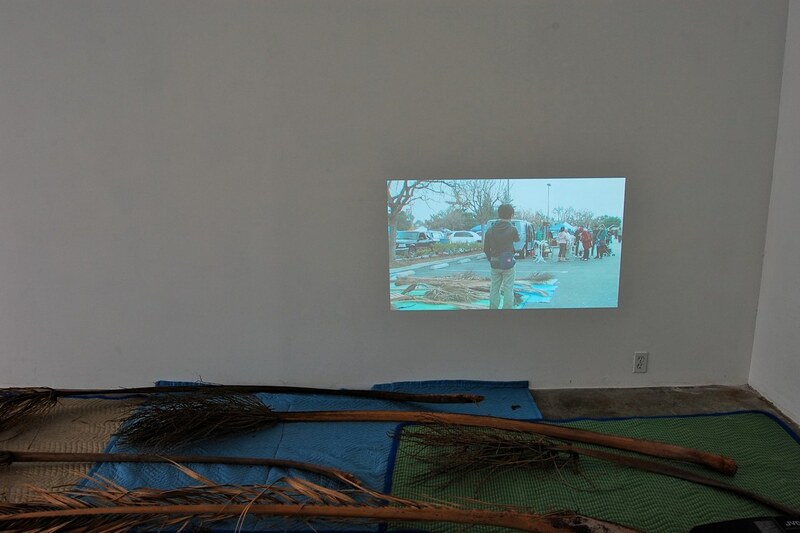 Video installation, HD video, two drawings (9"x12 each), palm fronds, blanket. Duration 11 minutes. Dimension variable.